Verizon Acquires Yahoo For $4.8 Billion - What Does This Mega Deal Mean For The Digital Industry? Verizon Acquires Yahoo For $4.8 Billion – What Does This Mega Deal Mean For The Digital Industry? For a long time, Yahoo! was the front door to the world wide web for several ‘first generation’ Internet users. It used to be one of those independently run web portal which provides everything a news channel can provide, and even more. Although it’s a mega-deal in terms of money, but relatively, it is a massive fall from grace for Yahoo. At its peak of health, and wealth, Yahoo was valued at $125 billion (in 2000), and some analysts are terming this deal as a ‘chump of change’. Then, in 2008, Microsoft offered a deal of $44 billion, which was rejected by the Yahoo board. That offer was 10 times of what Verizon is paying right now to acquire Yahoo. Besides these, there are certainly lots of goof-ups which Yahoo successfully managed, which eventually led to their sale today. One of the prominent ones was their missed chance in acquiring both Google and Facebook in between (for Google, they refused to spend $1 million in acquiring them!). However, the best decision which Yahoo took was acquiring 15% stake in Alibaba by paying $1 billion in cash; an investment whose value is now estimated at $40 billion. Besides this asset, Yahoo is now left over with few high end patents and Yahoo Japan. Marissa Mayer, CEO of Yahoo, who was brought in to reignite the legacy of Yahoo and turn it profitable has thus failed. None the less, she will walk home with a severance payout of $57 million, at the end of the deal. What Does This Mega Deal Mean For Digital Industry? Verizon is a US telecom company, one of the largest in the market with revenues of $131 billion in 2015. What made a telecom company acquire a web portal? The answer lies in mobility and digital content. In the US, where Verizon is the #1 (or sometimes #2) telecom company with 125 million consumers is witnessing a radical increase in digital content consumption on mobile. Unlike in India, price is not a major differentiator of telecom services and value added services eventually determine the winner. And thus, instead of other telecom companies like AT&T or Sprint, the real competitor of Verizon are other content providers like Google and Facebook. This is the reason Verizon had earlier acquired AOL for $4.4 billion, and Yahoo and AOL were the biggest content competitors for a long time. Verizon has also acquired Millennial Media for $250 million for the same reason: content for their users. Thus, after acquiring Yahoo, Verizon is now on a level playing field with AT&T, which had earlier acquired DirecTV for $48 billion. 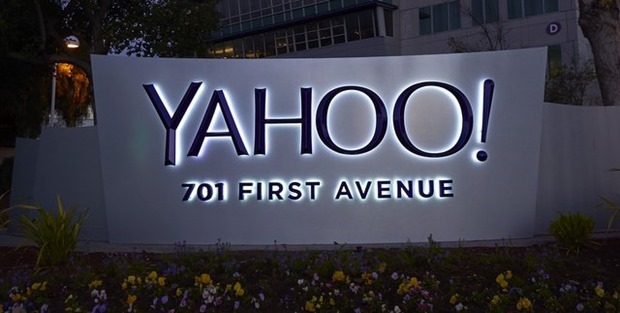 With Yahoo’s almost a billion page views in a month, combined with Verizon’s 125 million users, US telecom industry is all set to witness a paradigm change in content consumption. If we consider Indian market, then Reliance Communications has been doing the same since last few years: acquiring content providers and news channels for feeding their own content-hungry users. And after Verizon-Yahoo deal, we may witness this trend a lot more commonly. "Verizon Acquires Yahoo For $4.8 Billion - What Does This Mega Deal Mean For The Digital Industry? ", 5 out of 5 based on 6 ratings. Finally, Prisma Is Available On Google Play. Is It Ready For Prime Time? Imminent OS war: Microsoft vs Google! Multinational Earnings Roundup – Apple, PepsiCo, IBM, Goldman Sachs and Yahoo..
Satyam letter from Mr. Ramalinga Raju to its board directors admitting fraud !